Zuora practice lead, Frontera Consulting. ZUORA INVOICE ITEM SYNC SERVICE V2.0 – NEW! 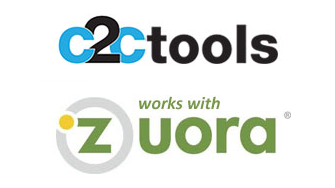 Sync Zuora Invoice Items and related objects to Salesforce to report on who bought what and for how much, directly in Zuora. Related objects include invoice item adjustments, credit balance adjustments and taxation items. AGING BUCKET UPDATER – NEW! Automatically update aging buckets on the billing account with the sum of overdue invoice balances. Create custom aging buckets (1-15, 16 – 45, etc.) and use them on invoices or statements. Subscription Autorenewal/Expiration Notification Service – Remind customers that their subscription will auto-renew or expire within X number of days with HTML emails. Invoice Notification Service – The Invoice Notification Service sends out Zuora invoices with HTML formatted emails from your mail server. Customers know the emails are from you and you can receive bounce-backs. Useful when invoices are modified prior to being sent to the customer, like 3rd party tax integration.